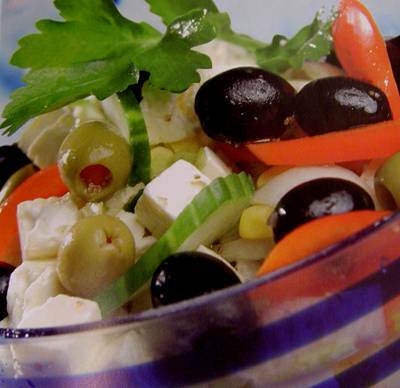 Greek cuisine has a long tradition and its flavours change with the season and its geography. Greek cookery, historically a forerunner of Western cuisine, spread its culinary influence – via ancient Rome – throughout Europe and beyond. It has influences from the different people’s cuisine the Greeks have interacted with over the centuries, as evidenced by several types of sweets and cooked foods. It was a Greek called Archestratos in 320 B.C. who wrote the first cookbook in history. 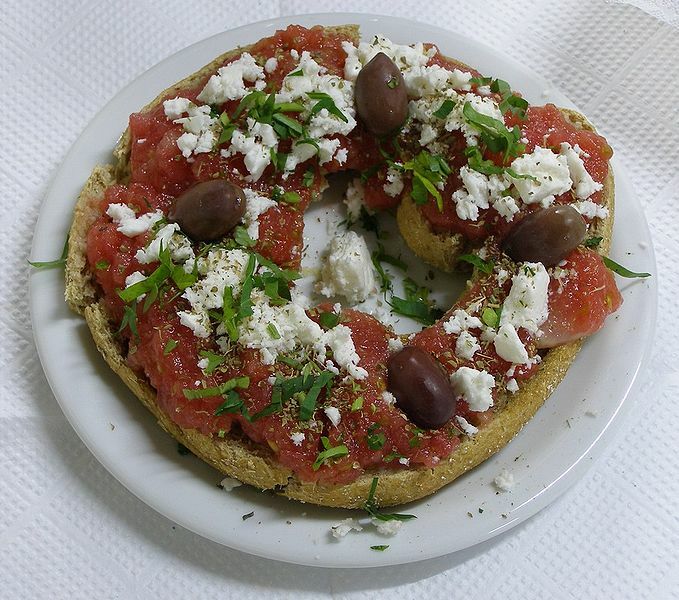 Greece has a culinary tradition of some 4,000 years. 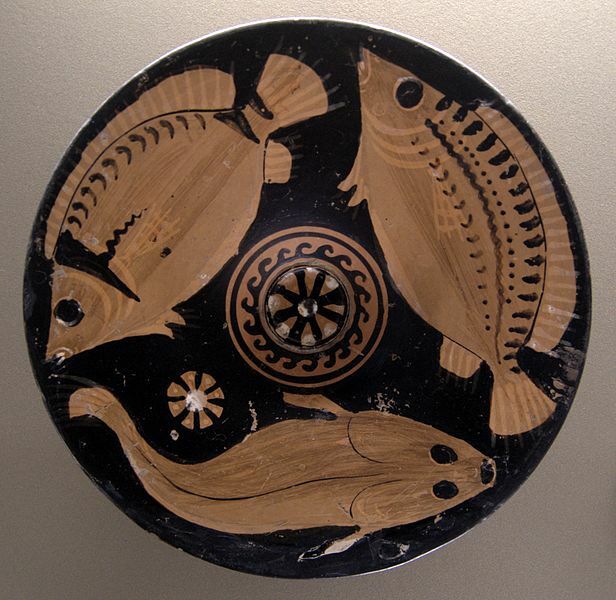 Ancient Greek cuisine was characterized by its frugality and was founded on the Mediterranean trio of wheat, olive oil, and wine, with meat being rarely eaten and fish being more common. Contemporary Greek cookery makes wide use of olive oil, the most characteristic and ancient element of Greek cuisine, vegetables and herbs, grains and bread, wine, fish, and various meats, including lamb, poultry, rabbit and pork. Also important are olives, aubergine, zucchini and yogurt. Greek desserts are characterized by the dominant use of nuts and honey. Honey in Greece derives mainly from the nectar of fruit and citrus trees such as lemon and bitter orange. Thyme honey, and pine honey are also popular. 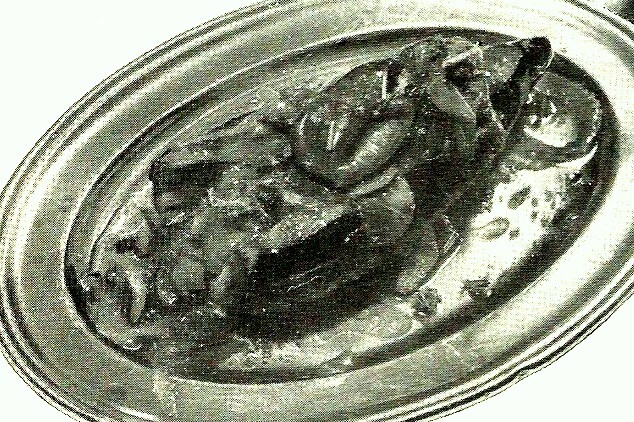 Mezés is a collective name for a variety of small dishes, typically served with wines or anise-flavored liqueurs such as ouzo or homemade tsipouro. Orektika is the formal name for appetizers and is often used as a reference to eating a first course of a cuisine other than Greek cuisine. Dips are served with bread loaf or pita bread. In some regions, dried bread (paximadhi) is softened in water. The climate and terrain has tended to favour the breeding of goats and sheep over cattle, and thus beef dishes are uncommon. Fish dishes are common in coastal regions and on the islands while a great variety of cheeses are produced, including Feta, Kasseri, Kefalotyri, Graviera, Anthotyros, Manouri, Metsovone and Mizithra. Dining out is common in Greece. 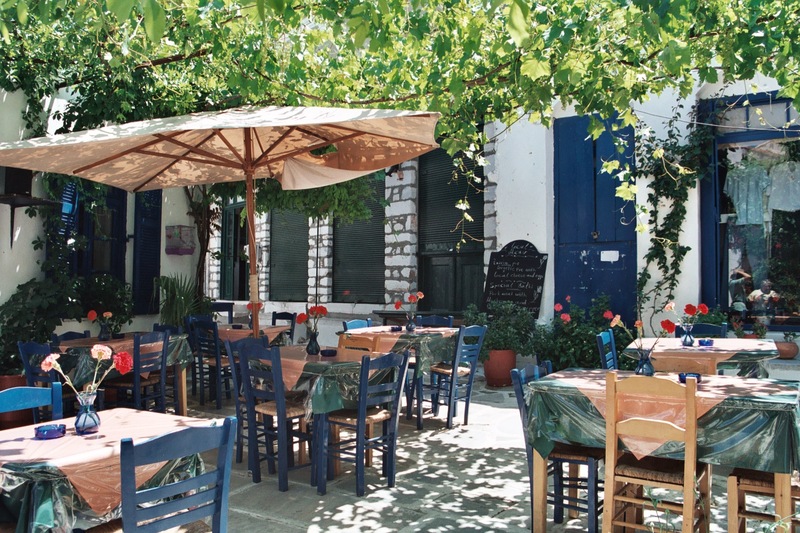 The Taverna and Estiatorio are widespread, serving traditional Greek home cooking at affordable prices to both locals and tourists. Recently, fast-food has also become more popular in Greece but the Greek people still rely primarily on the rich and extensive repertoire of Greek cuisine. It can also be said that some traditional Greek foods such as souvlaki, gyros and filled pitta are often served in fast food style. Greece has an ancient culinary tradition dating back several millennia, and over the centuries and food has evolved and absorbed numerous influences. 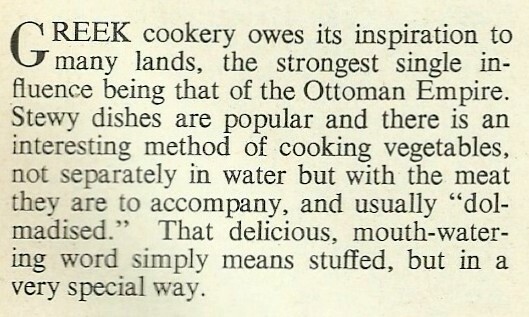 Many dishes are part of the larger tradition of Ottoman cuisine and their names reveal Arabic, Persian or Turkish roots. Many dishes’ names probably entered the Greek vocabulary during Ottoman times, or earlier in contact with the Persians and the Arabs. 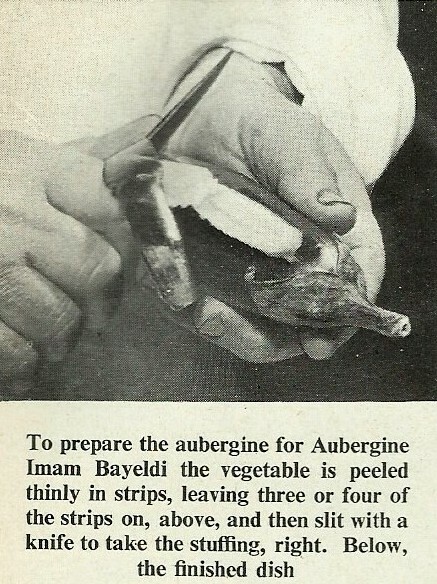 Some dishes may be pre-Ottoman, only taking Turkish names later. 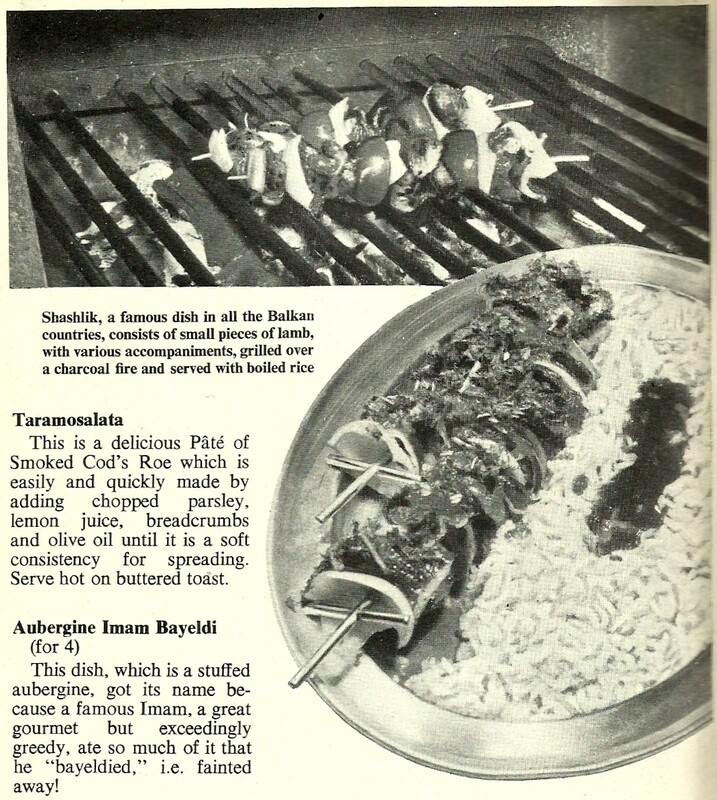 This entry was posted in European Cuisine and tagged aubergine, Byzantium, lamb, moussaka, olive oil, Turkish. Bookmark the permalink.